Barbecue repair starts with an in-depth inspection of your grill. The grill is taken apart, and each part is cleaned as needed. Then we apply the latest technology to diagnose what is wrong with the grill. Often over time grill parts become oxidized and deteriorate. 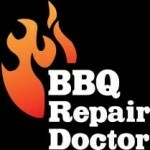 Our barbecue repair specialists are factory trained and certified. They carry a majority of the grill parts with them. But if something is missing, we can always order it for you. The parts we use are superior quality and very competitively priced. We always perform several tests to see how well your grill functions. We always inspect burners, igniters, venturi tubes and pressure regulator at the end of every job. Also, our barbecue repair specialist checks for proper gas flow. We make sure there are no leaks. Our goal is to achieve best results, in the shortest time possible. Your satisfaction is very important to us. 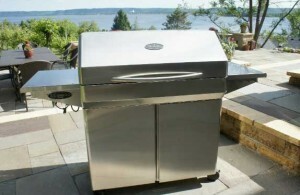 After our barbecue repair service, your grill will be much safer and will cook like new. 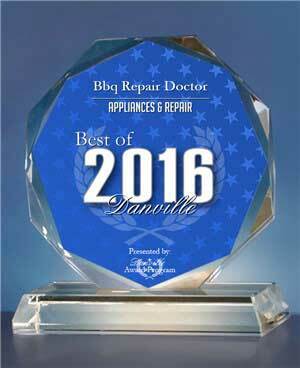 We are a family owned, and family operated local business. We have been fixing, cleaning and restoring grills for many years. 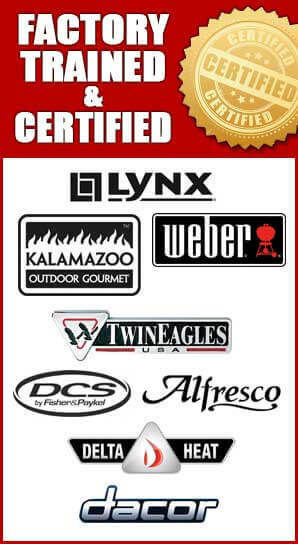 All our barbecue repair specialists are factory trained and certified to do their work. With this kind of experience, you can trust us with every barbecue grill task you can think of. We strive to offer high-quality services at honest and upfront prices. Our barbecue repair service specialists are always polite and helpful. And our reviews speak for themselves. Please call us 818-392-8666 in Los Angeles or Ventura County, 858-433-0703 in San Diego or 510-731-6480 in East Bay to schedule an appointment. Or fill out our short online form. We would love to hear from you and answer all of your questions. Check out our reviews on Yelp.